The on-going protests against Citizenship Amendment Bill-2016 intensified in Lakhimpur district on Tuesday with protest marches, burning of effigies and torch rallies by various organizations since Monday night. 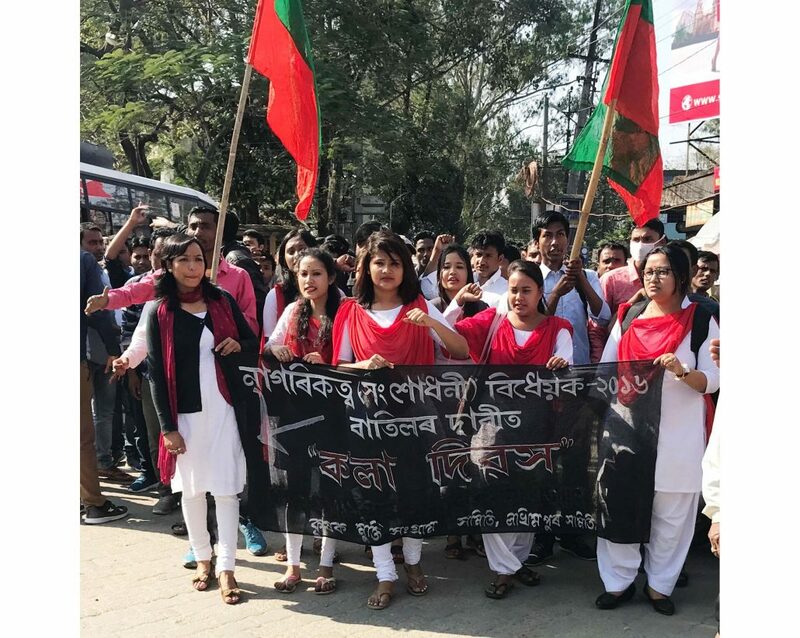 The North Lakhimpur unit of the All Assam Chutia Students Union (AACSU) took out a torch bearing March on Monday night across North Lakhimpur. The AACSU protest torch rally started from the Sadhani Bhawan in Japisajia and went through Kamala Bari Road of North Lakhimpur which was also accompanied by women and youth wings of Chutia organizations. Today the Krishak Mukti Sangram Samiti (KMSS) and Asom Jatiyatabadi Yuva Chatra Parichad (AJYCP) took to the streets in North Lakhimpur demanding immediate scrapping of the bill. They shouted slogans against the Prime Minister Narendra Modi and Chief Minister Sarbananda Sonowal in front of the Deputy Commissioner’s office in North Lakhimpur. The AJYCP also burnt the effigies of Modi and Sonowal. In the evening the Lakhimpur district unit of All Adivasi Students Association of Assam (AASAA) took out a torch bearing rally across North Lakhimpur against the Citizenship Amendment Bill-2016.